The nursery rhyme asks “What are little boys made of?” — and answers “Snips & snails & puppy dogs tails and such are little boys made of.” Little girls fare slightly better. They are made of “sugar and spice and everything nice.” No one believes that these statements reflect the actual chemical makeup of boys and girls. But anyone who watches these little darlings play can understand what the original author was getting at. But what about the soul? Well, the Bible’s actual use of the word shows that it does not refer to a separate spiritual element. “When Moses first used the Hebrew term nephesh, he was referring to animals. In Gen. 1:20, Moses records “And God said, “Let the waters swarm with swarms of living souls, and let birds fly above the earth across the expanse of the sky.” The phrase in Hebrew is nephesh chayah (souls of life). It is obvious from the context that Moses refers to fish and sea mammals, and birds, not people. This first use of nephesh highlights a contrast with the Greek philosopher Plato’s teaching that only human beings have souls.” Then, just a few verses later, that same Moses, describing the creation of Adam, says “And the LORD God formed man of the dust of the ground, and breathed into his nostrils the breath of life; and man became a living soul (Genesis 2:7)” He uses that exact same phrase nephesh chayah that he had used to describe the final product of the creation of animals. Just like the animals, human beings are made of the elements of nature, and given life from God. So, our souls are us, when we are alive. Our souls are bodies with breath in them. The New Testament tells us something about our soul that does not fit the popular idea either. In Matthew 6:25, Jesus says “Therefore I tell you, do not be anxious about your life, what you will eat or what you will drink, nor about your body, what you will put on. Is not life more than food, and the body more than clothing? Lot’s of Christians know that verse. What lots of Christians do not know is that the word for “life” in that verse is psuché, the New Testament Greek word that corresponds to the Old Testament Hebrew nephesh. So, Jesus is saying that bodies wear clothing (which seems logical) but he also says that souls eat and drink. Now, that does not fit our theology, so Bible translators are quick to rescue us from the embarrassment of having to recheck our theology, and simply translate the word psuché as life. But there is no reason to hold to two contradictory terms for translating the same word here. The soul is the life of a living breathing creature. If that is the only possible meaning in Matthew 6, it makes sense to interpret it that way elsewhere as well. And the Bible does not teach that anyone’s soul is immortal. In fact, it implies that souls can die. For example, the psalms contain many pleas for deliverance, and 119:175 is one of them. It says “Let my soul live, that it may praise you…” The word nephesh has cognates in at least two other ancient near eastern languages that mean “throat.” That at least suggests that a soul may simply be the word for the body with breath in it. As such, it makes sense that animals have souls as well. They are living creatures, bodies with breath in them. listen to the audio file at Afterlife. 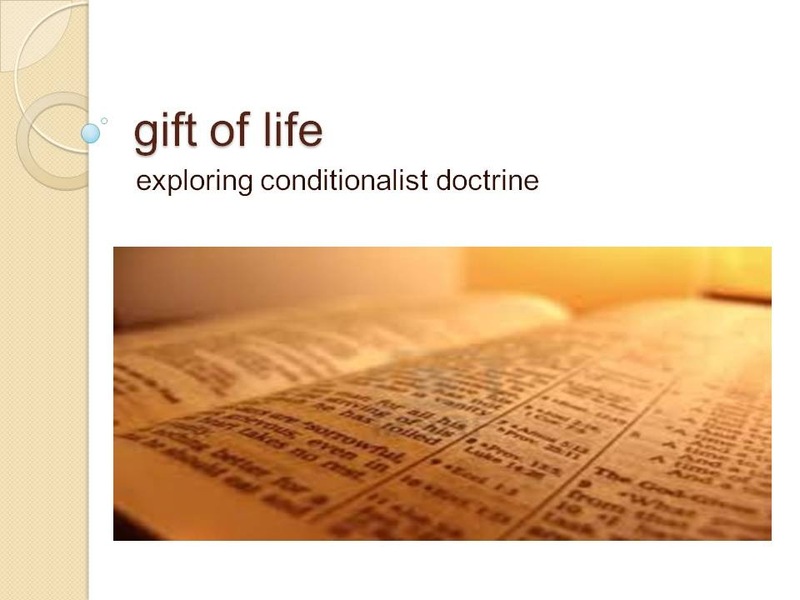 This entry was posted in anthropology, article, article-archive, Theology and tagged gift of life. Bookmark the permalink.